One of the most popular and widely used dumbbells for at home workout enthusiasts are the Bayou Fitness Adjustable Dumbbell. 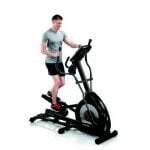 The top rated and user loved workout equipment is both versatile and compact. Their adaptability is one of the things which makes them one of the best on the market. But is that enough to make them worth the price? Do the Bayou Fitness adjustable dumbbells deliver when it comes to training? Anytime people are looking to purchase a product or want to know what it is capable of; they look for their features. It is based on those characteristics where you can see if the item will have what you are looking for or need. The Bayou Fitness Adjustable Dumbbell has plenty of great features for users to appreciate and take advantage of. Some of the critical functionalities include their space-saving design. Their compact and easy to use function makes them a must have for those with limited space. Or for people who don’t want too much clutter when it comes to workout equipment. Additionally, since they are adjustable, the Bayou Fitness free you from having to have numerous other dumbbells. Users will also enjoy their construction which is made from heavy-duty chrome plated steel. Both of the adjustable dumbbells also come with useful and handy storage trays. They work very well when it comes to working out and storing them. The two 25 pound adjustable dumbbells can go from 5 to 25 lbs. For people who want adjustable dumbbells to workout with, their adjustability feature is crucial. The Bayou Fitness allows you to adjust them in 5-pound increments. Each of the dumbbells has five plates on each side with each one weighing 2.5 pounds. Making adjustments during the workouts is also essential. Some adjustable dumbbells are hard to change thus interrupting your program. The Bayou Fitness, however, make the entire adaptable process easy to do. This allows you to go from 5 pounds to whatever weight you desire in no time. Plus, the mechanism adjusts quickly, quietly and without too much effort. Is The Bayou Fitness For You? In addition to all of these, you can also do several chests, back, leg, abdominal and shoulder exercises which include: Flat fly, wide, squats, abs crunch, deadlift, decline chest press, flat chest press, and incline fly. The shoulder exercises you can perform are Front raise, shrugs, standing shoulder press, seated overhead press, and several others. There are always good things and wrong with anything you purchase. The pros and cons of an item let you know what to expect from it. Plus, they inform of you things that may keep you from buying it. Eliminates the need for other dumbbells. Lets you adjust the weight in 5-pound increments easily and fast. Very sturdy and made of durable material. Innovative design which saves space and workout time. Goes from 5 pounds to 25-pound increments. A few users reported that the storage rack sometimes sticks during workouts. The adjustable knob sometimes needs to have WD-40 added to avoid sticking or breaking off. 5-pound increments are per side, not in 2.5 lbs. This means you have to make 10-pound adjustments in total when using two dumbbells at 5 pounds per side. Overall, the Bayou Fitness will allow anyone to workout from anywhere they choose without too much hassle. The pricing for these well-made adjustable dumbbells is also very competitive. You can expect to get them within a few days or a week after you make your purchase. The best way to find out about what you can expect from a product is by reading the customer reviews. Since they have already purchased the product, these users are in a better position to provide an idea as to their experience. Here are some of the things people are saying about the Bayou Fitness Adjustable Dumbbells in their testimonials. One customer name J. Taylor wrote “Great Quality” for her review. She mentioned how great they were for her since she was a small woman. Another verified purchaser stated “Excellent product and a good price” in his review. He mentioned how good the Bayou Fitness was and how well they worked for him. There was also a review from a client who gave the Bayou Fitness 5 stars. In his testimonial he wrote, “Well worth the money” and went on to say how happy he was with his purchase. For those who are looking for a great pair of dumbbells to help them work out from the comfort of their home or apt, then the Bayou Fitness is worth considering. They will save you time during your physical training as well as space. Moreover, they are made of high-quality, durable material which is essential. The one drawback may be the 5-pound increments per side. Some people cannot handle going a full 10-pound increase using two dumbbells. However, this is typical for the most top of the line adjustable dumbbells on the market today. Overall, based on the pricing, quality and high customer satisfaction, the Bayou Fitness Adjustable Dumbbells are a great purchase. They presently have one of the highest ratings when it comes to stars. That makes them a brilliant and safe buy to consider.